The front-mount adjustable thermostat lets you easily program your freezer to the ideal temperature. This freezer provides a spacious 6.9 cubic foot or 195-liter capacity. Chest Freezer 7 cu ft Wire shelf/removable storage basket. The Koolatron 7.0 . 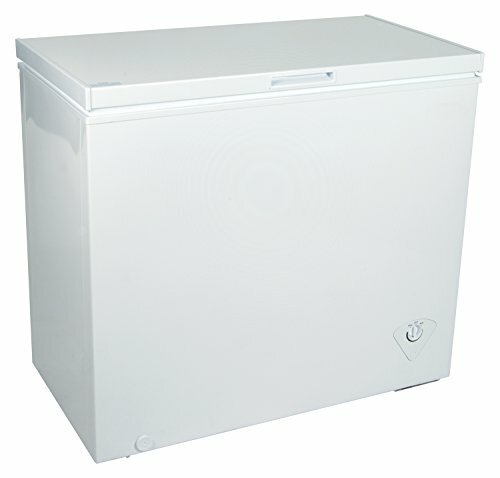 Chest Freezer is the ideal addition to any home, cottage or workplace. The front-mount adjustable thermostat lets you easily program your freezer to the ideal temperature. This freezer provides a spacious 6.9 cubic foot/195 liter capacity. This model comes with a convenient defrost drain, easy-clean interior liner, and is equipped with interior baskets to help you separate and organize your food.